In Australia, IVF clinics are reporting that the number of older, single, heterosexual women using donor sperm to conceive a child has increased by 10% in the past three years. This trend is particularly pronounced in Victoria where it is no longer illegal for single women to undergo IVF if they are not medically infertile. They are categorized by the IVF industry as “socially infertile,” women in their 30s who “can’t find Mr. Right, but still want a child.” They often rely on their mother, sister or a friend to support them through the process in the absence of a spouse. I turned thirty a few months ago. To say that my “biological clock” sounds more like a ticking time bomb lately would be an understatement. I always thought that at this point in my life I would be married with at least a couple of kids already. So, believe me when I say that I feel the painful longing these women are legitimately experiencing. The desire for children is natural (especially for women) and good, but that doesn’t mean we’re entitled to have the children that we so desire. As the Catechism reminds us: “A child is not something owed to one, but is a gift … a child may not be considered a piece of property, an idea to which an alleged ‘right to a child’ would lead” (no. 2378). Typically, the term “reproductive rights” refers to abortion and contraception. But that’s only half the story. 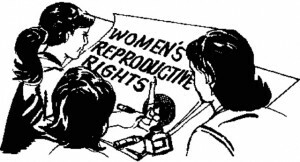 Third party reproduction is the flip side of the reproductive rights revolution. Now, not only do we have a society that thinks they have a right to not have children, but they also think there’s some inherent right to have children — when they want, how they want and often ordered to their specifications. In the UK, one couple is suing to force the government to pay for their IVF. Babies are being raffled off by IVF clinics in an effort to raise their profiles and crowd their mailing lists with potential customers. A fertility doctor in California is creating embryos in bulk from one sperm donor and one egg donor so that couples can get “discount” embryos. Last month, the Inter-American Court of Human Rights ordered Costa Rica, the only country in the world that completely prohibits in vitro fertilization (IVF), to lift its ban effectively putting the “rights to private and family life” above the right to life. This issue deserves just as much attention from the pro-life movement as abortion. While the abortion/contraceptive mentality turns the child into an object, third party reproduction turns that child and the miracle of creation itself into an outright commodity — a product of science rather than a gift from God. Many Christians don’t even question its morality, anymore. Meanwhile, the fertility industry is getting increasingly out of control and millions of innocent human beings are paying the ultimate price. On the surface, it seems counter-intuitive for those who consider themselves pro-life to oppose in vitro fertilization, which has the noble goal of fostering new human life. But, the reality is that to give birth to one child, a significantly larger number of tiny human beings die at different stages of the medical process. Some die by miscarriage after implantation, some are killed through “selective reduction,” being donated for scientific research or discarded as medical waste and many, many of them are left frozen in perpetuity. It is hard to tell how many nascent human lives made by this technology perish since most countries, especially the United States, the fertility industry is grossly under-regulated (if it’s regulated at all). The UK just released some numbers, and they’re even worse than we could have imagined. Approximately 93 percent of the 3.5 million embryos created in the UK since 1991 will never be implanted. It is also worth noting here that, along with the innocent human lives that are lost as a result of this technology, real, safe, effective fertility medicine that respects the rights of every human being is being limited as well. In fact, Dr. Thomas Hilgers, founder and director of the Pope Paul VI Institute for the Study of Human Reproduction, has said that we would probably have a cure for infertility by now were it not for the race to create children in the laboratory. Artificial insemination and IVF are among some of the technological developments of the twentieth century that came faster than humanity could process their implications and discern their right use — or whether they should be used at all. Just because we can do something, doesn’t mean that we should. Looking at what assisted reproductive technology has wrought — children and adults confused about their identity, women exploited and abused, astronomical numbers of lives lost and perpetually frozen — it’s hard not to see the wisdom of the Popes and Catholic bishops who have been ridiculed over the years for warning against the use of this technology from the beginning. As the Holy Father noted, the Catholic Church is not unsympathetic to the heartache of those who legitimately feel the pain of infertility. She believes that the right of children to be conceived by an act of love between a mother and father and born to parents who are known to them takes precedence over someone’s “right” to bear a child. Frankly, no such right exists. Men and women are privileged to be allowed to participate in God’s creating work, but ultimately, children are gifts to be received, not goods to be obtained at any and all cost. Reprinted with permission from Human Life International’s Truth and Charity Forum.